Miss Bella Southern has been invited to be an integral part of the renowned entertainment show Rooftop Express which incorporates animals such as bulls, horses and working dogs which will perform at the Brisbane Ekka in August of 2017. We love it when our locals make it big. Good Luck Bella!!!! Everyone is welcome to attend the Monto Magic Tourism and Action Group meetings. We would love hear your ideas and are in need of volunteers for various projects. A great weekend full of events, rides and food. Keep an eye out for the Schedule. 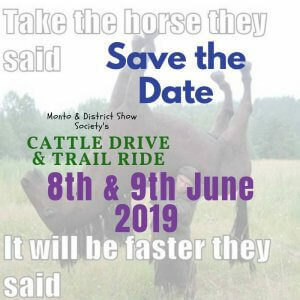 Also available on the Monto Show website. This is a fantastic fun day for the whole family. More details to come.